If you are seeking an audiologist for the first time this is a great place to start! Some insurance companies will only cover the cost of services with a referral from your doctor so seeking their advice at this stage is a wise move. Your doctor should also be able to recommend any reputable practitioners in your area. If you know anybody who has recently had a positive experience with an audiologist, get a recommendation from them! Personal recommendations are a really good indicator that you can expect good service. Now, this doesn’t mean that you should rush out and book an appointment with the audiologist whose office is around the corner from your home simply because it is so close. However, location is an important factor to consider in your search. For example, if you are considering buying hearing aids, you don’t want to be driving half way across the state every time you need an adjustment or to pick up replacement batteries! Professional credentials are a great sign; they demonstrate that your potential audiologist has risen to a high level of excellence in the field. Accreditations such as CCC-A (Certificate of Clinical Competence in Audiology) and BCA (Board Certified in Audiology) should be listed on their websites. Any positive reviews from previous patients should also be proudly displayed on their websites. Remember that a few good testimonials do not mean that they have given every patient a good service, but finding no testimonials at all could be a cause for concern! This is final and most important stage in your search for an audiologist. Once you have narrowed you list of potentials down to a couple of options, it is perfectly acceptable to want to meet with them and discuss your concerns in person before making a decision about who to go to with your custom. You could deal with the most highly qualified and experienced audiologist in the world, yet still have a negative experience if that person is not willing to take the time to listen properly to your concerns and personal hearing goals. 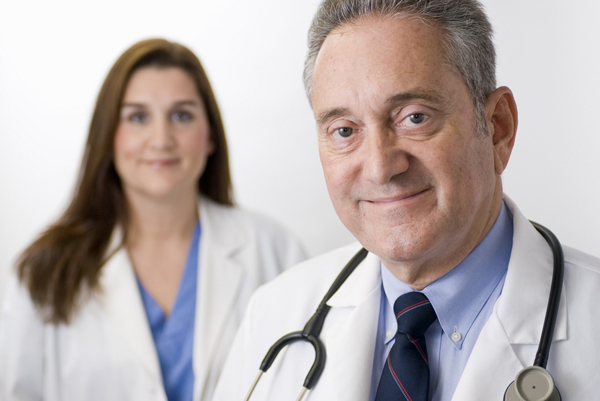 Selecting a hearing healthcare professional doesn’t have to be a difficult task. Using the above tips, you’ll be able to find a professional in this growing and in-demand field in a short period of time!